Replacing the existing garage door is a big decision. But it’s imperative when the door doesn’t meet your demands anymore or has aged. If you want to make the entire process of garage door replacement easy, allow us to help you. We don’t only have experience in such services, but are also updated and will provide you with the information and consultation you seek. Once you select the door for your garage, our team at Garage Door Repair Thornhill goes ahead and order it and it is installed shortly after. You can leave any technical detail to our staff and trust the skills of our technicians. We have been providing garage door installation in Thornhill for a long time and have the expertise you need. Bouncing among aluminum and steel garage doors? It’s all a matter of what you really need. As far as the aesthetic part goes, rest assured that all new doors are amazing. There are many styles, colors, and designs to choose from. The question is whether or not you will stick to the same type of door. It’s also important for us to check the opener and the springs and see which parts are suitable and which ones must be replaced too. All components must be a perfect match with your new door and such technicalities have priority among our tasks. We first focus on the type of the door you need and move on to other technical details like the material. Do you want wood garage doors or would prefer a more low-maintenance material? From steel and wood to aluminum and composite materials, we can install any insulated or non-insulated door. 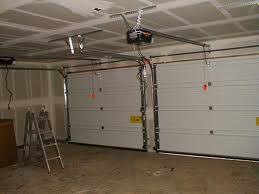 We also install Craftsman garage doors and any opener brand and spring system. What’s significant before Thornhill garage door installation is to find the ideal door for you. 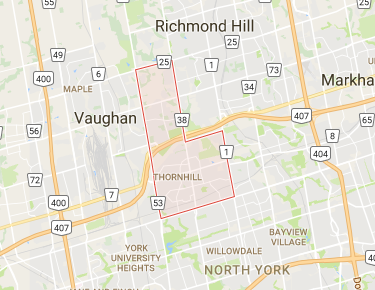 The local weather in Thornhill, Ontario, your personal preferences, your family’s budget, and your overall expectations play a great role to your final decision. Let our team help you with all these things and install your new wood or aluminum garage doors for you.